Are There Benefits to Gluten Free Diet? Many people such as those that experience benefits of gluten free diet live with dietary restrictions that make cooking much less eating out difficult. If you are one of these people, I hope to be able to provide some helpful suggestions and yummy recipes to make life in the kitchen and eating out a bit easier. I do believe that everyone can benefit from a heart healthy or diabetic diet regardless of whether you suffer from one of these chronic disease states or not. For obvious reasons, less saturated fatty meats and fried foods will benefit all as well as a low sugar diet. 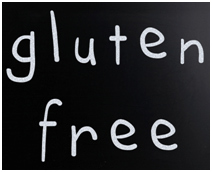 However many believe in the false benefits of gluten free diet restrictions. Let me explain. What is Gluten? 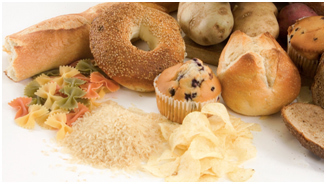 Gluten is a protein found in grains and is found in most breads, cereals, processed foods and pasta. It has also become the latest diet rage. You see it everywhere. “NEW GLUTEN FREE WEIGHT LOSS!” People are searching for new gluten free recipes everyday.It’severywherewhen you are eating out GLUTEN FREE! There are medical conditions like Celiac Diseasewhere a person cannot tolerate the protein gluten. It cancause severe damage to the intestine. But the percentage of people that have Celiac Disease is less than 1%. So for all those that are not specifically diagnosed with Celiac or Gluten Sensitivity, there is no health benefit for going gluten free. I know. Sorry to be the myth-buster.The rebuttal to this is people say they lose weight and attribute it to removing gluten from their diet; however, in all actuality they have removed muffins and cookies or enriched breads from their diet. Of course! Everyone will lose weight when they replace those things with fruits and vegetables. WHAT? There are NO Benefits of Gluten Free Diet? NO! In fact, if you indulge in some of the marketed “gluten-free” products, you might actually gain weight. The gluten is replaced with filler ingredients that are often higher on the glycemic scale. What does this mean? It turns to sugar faster. You DON’T want this!In fact, many true Celiac sufferers actually gain weight once removing gluten from their diet. However, this is not for the same reason. You see, Celiac sufferers prior to diagnosis may experience diarrhea, bloating, abdominal pain and fatigue. Who feels like eating with all these symptoms? In addition, vital nutrients are not being absorbed so they are suffering from borderline mal-nutrition. When gluten is removed and nutrients are absorbed, Celiac sufferers move into a more normal healthy state of eating and nutrient absorption thus leading to, in most cases, needed weight gain. For the rest of us, who don’t need the dietary restriction of going gluten free, you are depriving your body of much needed healthy grains that are full of fiber. SO as you can see the gluten free weight loss program unless you have been medically diagnosed is not the answer. If you can relate to some of these symptoms mentioned, please see a medical doctor for treatment and potential diagnosis.